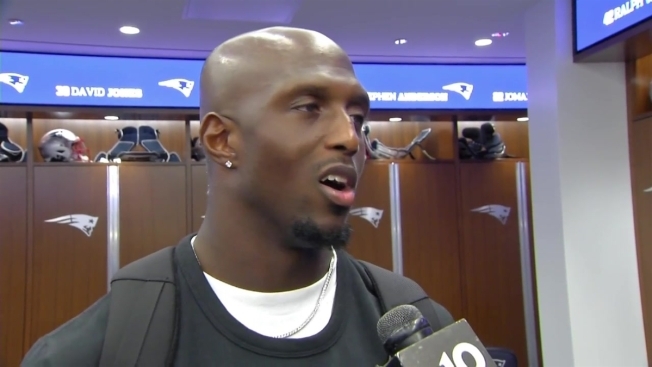 Devin McCourty chats with NBC10 Boston's Raul Martinez following the Patriots' win over the Miami Dolphins. Patriots tight end Rob Gronkowski, who was sidelined during yesterday's game versus the Dolphins with an ankle injury, is expected to be questionable for Thursday night's game against the Colts, according to ESPN's Adam Schefter. The ankle injury is not considered serious, according to a source that Schefter cited. Gronkowski was limited in practice and listed as questionable on the injury report with a right ankle injury going into the Dolphins game. Gronkowski leads the team with 233 receiving yards on 17 catches. The Patriots play the Colts this Thursday night in Foxboro, after upping their record to 2-2 with a 38-7 drubbing of their AFC East rival Dolphins on Sunday.